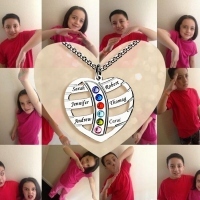 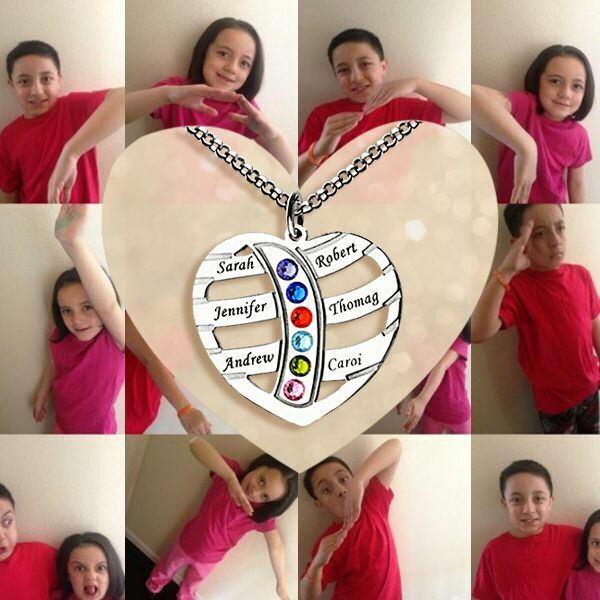 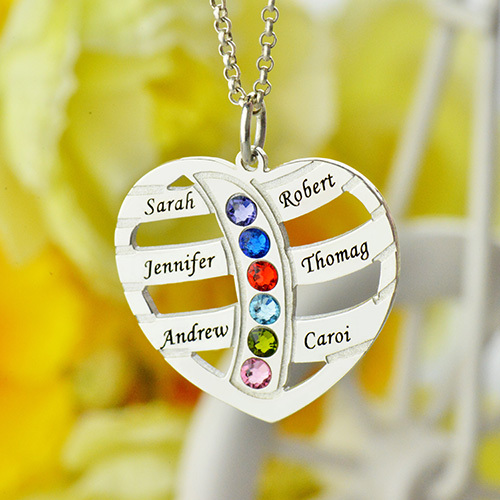 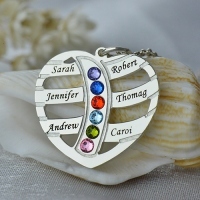 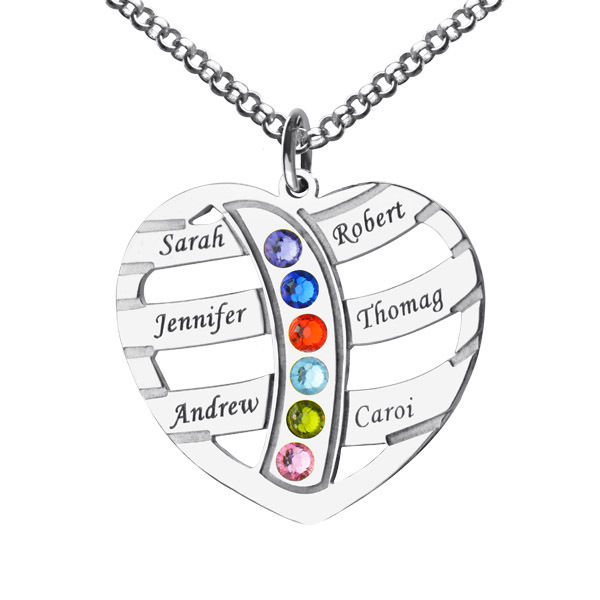 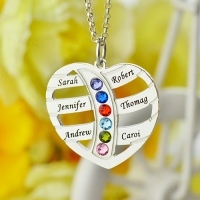 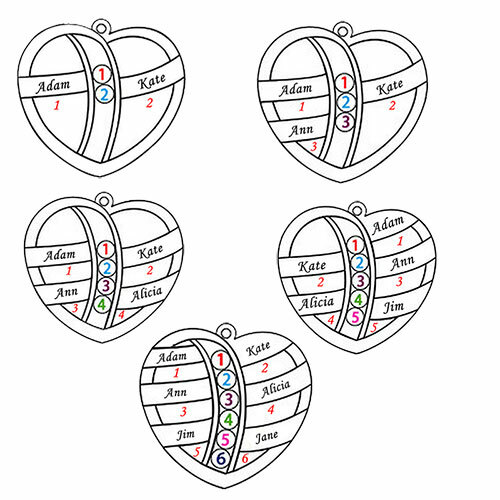 Mother's Day Heart Necklace with Kids Name & Birthstone - The perfect symbol of love and family. 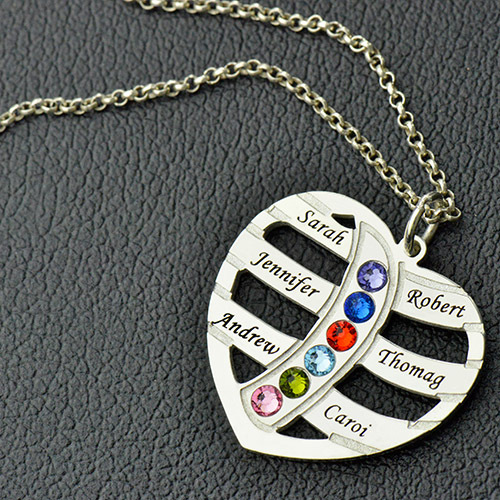 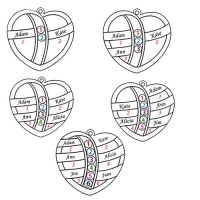 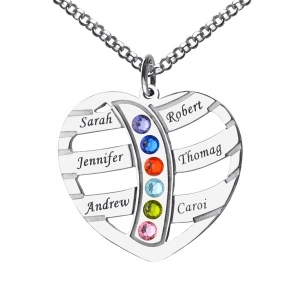 Featuring a heart-shaped pendant,this piece of jewelry can be personalized to include up to six names and include a birthstone with each name.Whether for mom or a gift for grandmothers, this heart necklace is the perfect option. Grandma verywhere will love this birthstone necklace.